Is EVOO in the tub the reason she's aged so gracefully? 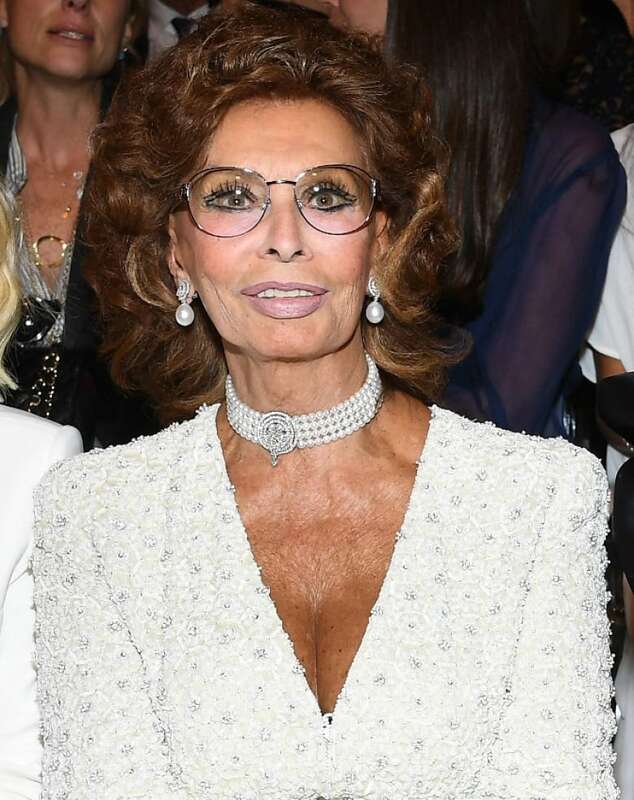 At this point, Sophia Loren's name is practically synonymous with "aging gracefully". 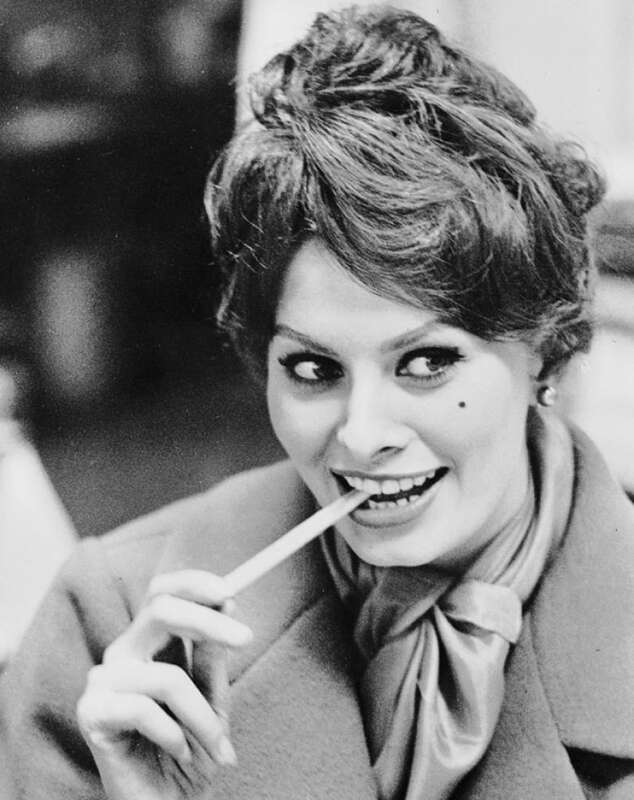 The Italian actress, who began her on-screen career at the age of 15 and is best known for Old Hollywood classics like Arabesque and Yesterday, Today and Tomorrow, was the first actor to win an Academy Award for a foreign language film (despite pulling a Maggie Smith and skipping the ceremony), is just one dazzling theatre role shy of an EGOT and has been dishing out meme-worthy reaction faces since the 60s. Still, she's always made headlines for her unmatched beauty, and that only intensified when, at 72, she appeared in the 2007 Pirelli calendar clad in lingerie. So, yeah, she's doing something right. Naturally, Loren's enduring good looks have prompted countless interviewers over the years to ask exactly what her secret is. In 2005, she told the Sunday Times that her trick to defying the aging process was "a love of life, spaghetti and the odd bath in virgin olive oil." Reports have it that for this oil-infused bath, Loren uses the same type of very scientific measurement I do for all of my cooking: whatever amount fits in the cap the container came with. Extra virgin olive oil has long been lauded for its health benefits. It's high in vitamin E, which, when applied topically, has been shown to aid in preventing skin cancer, treat wounds and burns, increase collagen in the skin, leading to greater elasticity and reduce the appearance of dark under-eye circles. EVOO is also rich with antioxidants that work to halt age-associated changes in skin cell size and smooth the skin overall, which can help prevent wrinkles from forming. So, with this info in mind — and a strong desire to drink from the same fountain of youth that Sophia swears by — I decided to follow Loren's lead and test out this treatment for myself. Pour a few capfuls of olive oil into your tub as you run the bath. Mix it around and hop right in! Soak for as long as desired. Maybe it's just a product of the bath-zen this treatment immediately instilled in me, but I can't really think of a bad thing to say about Loren's long-time beauty secret. Not only does the olive oil make your skin feel like you've just emerged from the most moisturizing cocoon, it adds a rich, grassy aroma to the air that makes for a full sensory experience. Some researchers have posited that the scent of olive oil can make us feel uniquely satisfied after eating, so if the same science applies when mixing it into our bath water, the benefits of this treatment may go beyond skin deep and veer into the truly spa-like. Of course, it helps that the set-up couldn't be easier. If you're one of those people who balks at the idea of even stirring lemon juice and sugar together for a DIY scrub (I feel you, believe me), this is the exact kind of effortless at-home treatment you've been waiting for. If you have it in you to lug that big jar of extra virgin olive oil you probably already have on hand into the bathroom, you're golden. No extra purchases of items you doubt will ever see the light of day beyond your bath water, required. That being said, quality olive oil isn't cheap and the few capfuls this treatment requires can add up fast, which — depending on your budget — can move this experience from the "once a week" category into the "once in a while" one. I also loved how versatile Loren's treatment was. You can customize the amount of EVOO used, mix in other essential oils for added aroma or even sprinkle a bit of your favourite bath salts in to amp up the experience. I kept things simple with just the olive and added about three and a half capfuls to my bath. That made the water fairly oily, to the point that my body was instantly coated from head to toe (well, shoulder to toe to be exact). Truly within seconds, my skin went from a scaly mess to an incredibly smooth and dewy shell that I thought was only achievable in the most humid of summer months. And even with all the dry winter air swirling around, I was able to feel the moisture last well into the next day — far longer than any store-bought cream has managed to. Obviously, the longer you soak in the oil, the longer it has to work its magic, but if you're anything like me and can't spend more than 10 minutes sitting still without going stir crazy, you'll still be able to reap the benefits in a reduced time span. However, despite its low maintenance beginnings, this treatment does require some cleanup. Be sure to carefully wipe down the bottom of your tub afterwards to remove any lingering oil. Slipping in the shower is a surefire way to eliminate all remnants of the serene state the bath provided in the first place, and really, who wants their tub looking like the speckled back of an exotic tree frog anyway? Overall, Loren's anti-aging olive oil bath was a dream. And while I can't guarantee that it'll take care of wrinkles, it's definitely one of the easiest ways to take your bath to a whole new plane of luxury. The only thing that would've made this experience even more enjoyable? Spaghetti. Loren was right. Next time, I'll remember the spaghetti.